Interior lighting and maintenance. Maintaining the range of commercial lighting fixtures inside your facility requires a versatile skill set for the best outcome. Our lighting company can create the best care plan for your facility. Exterior lighting and maintenance. 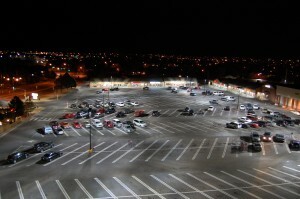 Commercial outdoor lighting requires regular maintenance for the best results and most safety. Parking Lot Lighting. Lots that do not receive adequate illumination are at risk for an increased number of property and personal crimes. 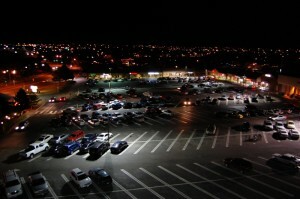 Our lighting contractors can help you find the best products in the industry, creating a difference in your parking lot that is like night and day! Lighting Energy Audits. This process is done to examine the operational practices of your commercial lighting fixtures to determine the effectiveness of your current system. Our energy audits ensure that your building is running as effectively as possible. Consulting and Lighting Design. Configuring the architecture of your lighting design can produce major improvements in product performance and aesthetics. Lighting rebate providers. Investing in our commercial lighting fixtures can result in huge rebates for your business. Our electrical contractors are here to help optimize your savings. Emergency lighting and batteries. Emergencies happen, and when they do, make sure that your facility is equipped with the most modern emergency lighting products. Energy savings and sustainability specialists. Our lighting contractors are designed to create the most effective energy solutions for your business. Sign lighting and maintenance. Your sign is like the public’s doorway to your brand, and as such, it should be kept in good condition for the best results. Our Denver sign company can provide comprehensive support for your unique needs. Holiday lighting and design. The holidays are a time of cheer, family, and festive lights. If you’re in need of holiday lighting design and installation services, be sure to contact our electrical contractors for help!